Oakwood Metallic 2019 LS Chevrolet Cruze 28/38 City/Highway MPG Tri City proudly serving Martinsville, Danville, Greensboro, Burlington, Winston Salem, Kernersville. We have the lowest administrative fee in the area with zero hidden fees. Come check out our competitive advantage, as well as our courtesy delivery service. Always remember, 'The deal your needin, is in Eden." FWD 6-Speed Automatic 1.4L 4-Cylinder Turbo DOHC CVVT All sale prices are plus tax tag title and 349 administrative processing fee. Residency restriction may apply on factory incentives. Rebates expire periodically. Automaker financing may be required to receive all advertised incentives. Financing offers are with approved credit. Vehicles subject to prior sale. All efforts made for pricing accuracy, please contact Tri City for availability and pricing. Summit White 2019 LS Chevrolet Cruze 28/38 City/Highway MPG Tri City proudly serving Martinsville, Danville, Greensboro, Burlington, Winston Salem, Kernersville. We have the lowest administrative fee in the area with zero hidden fees. Come check out our competitive advantage, as well as our courtesy delivery service. Always remember, 'The deal your needin, is in Eden." FWD 6-Speed Automatic 1.4L 4-Cylinder Turbo DOHC CVVT All sale prices are plus tax tag title and 349 administrative processing fee. Residency restriction may apply on factory incentives. Rebates expire periodically. Automaker financing may be required to receive all advertised incentives. Financing offers are with approved credit. Vehicles subject to prior sale. All efforts made for pricing accuracy, please contact Tri City for availability and pricing. Silver Ice Metallic 2019 LS Chevrolet Cruze 28/38 City/Highway MPG Tri City proudly serving Martinsville, Danville, Greensboro, Burlington, Winston Salem, Kernersville. We have the lowest administrative fee in the area with zero hidden fees. Come check out our competitive advantage, as well as our courtesy delivery service. Always remember, 'The deal your needin, is in Eden." FWD 6-Speed Automatic 1.4L 4-Cylinder Turbo DOHC CVVT All sale prices are plus tax tag title and 349 administrative processing fee. Residency restriction may apply on factory incentives. Rebates expire periodically. Automaker financing may be required to receive all advertised incentives. Financing offers are with approved credit. Vehicles subject to prior sale. All efforts made for pricing accuracy, please contact Tri City for availability and pricing. Black Metallic 2019 LT Chevrolet Trax 26/31 City/Highway MPG Tri City proudly serving Martinsville, Danville, Greensboro, Burlington, Winston Salem, Kernersville. We have the lowest administrative fee in the area with zero hidden fees. Come check out our competitive advantage, as well as our courtesy delivery service. Always remember, 'The deal your needin, is in Eden." FWD 6-Speed Automatic ECOTEC 1.4L I4 SMPI DOHC Turbocharged VVT All sale prices are plus tax tag title and 349 administrative processing fee. Residency restriction may apply on factory incentives. Rebates expire periodically. Automaker financing may be required to receive all advertised incentives. Financing offers are with approved credit. Vehicles subject to prior sale. All efforts made for pricing accuracy, please contact Tri City for availability and pricing. Steel Metallic 2019 LT Chevrolet Trax 26/31 City/Highway MPG Tri City proudly serving Martinsville, Danville, Greensboro, Burlington, Winston Salem, Kernersville. We have the lowest administrative fee in the area with zero hidden fees. Come check out our competitive advantage, as well as our courtesy delivery service. Always remember, 'The deal your needin, is in Eden." FWD 6-Speed Automatic ECOTEC 1.4L I4 SMPI DOHC Turbocharged VVT All sale prices are plus tax tag title and 349 administrative processing fee. Residency restriction may apply on factory incentives. Rebates expire periodically. Automaker financing may be required to receive all advertised incentives. Financing offers are with approved credit. Vehicles subject to prior sale. All efforts made for pricing accuracy, please contact Tri City for availability and pricing. Many rebates expired January 2nd, 2019. Ford credit financing may be required to receive incentives. Blue Metallic 2019 LT Chevrolet Trax 26/31 City/Highway MPG Tri City proudly serving Martinsville, Danville, Greensboro, Burlington, Winston Salem, Kernersville. We have the lowest administrative fee in the area with zero hidden fees. Come check out our competitive advantage, as well as our courtesy delivery service. Always remember, 'The deal your needin, is in Eden." FWD 6-Speed Automatic ECOTEC 1.4L I4 SMPI DOHC Turbocharged VVT All sale prices are plus tax tag title and 349 administrative processing fee. Residency restriction may apply on factory incentives. Rebates expire periodically. Automaker financing may be required to receive all advertised incentives. Financing offers are with approved credit. Vehicles subject to prior sale. All efforts made for pricing accuracy, please contact Tri City for availability and pricing. Summit White 2019 Preferred Buick Encore 25/30 City/Highway MPG Tri City proudly serving Martinsville, Danville, Greensboro, Burlington, Winston Salem, Kernersville. We have the lowest administrative fee in the area with zero hidden fees. Come check out our competitive advantage, as well as our courtesy delivery service. Always remember, 'The deal your needin, is in Eden." FWD 6-Speed Automatic ECOTEC 1.4L I4 SMPI DOHC Turbocharged VVT All sale prices are plus tax tag title and 349 administrative processing fee. Residency restriction may apply on factory incentives. Rebates expire periodically. Automaker financing may be required to receive all advertised incentives. Financing offers are with approved credit. Vehicles subject to prior sale. All efforts made for pricing accuracy, please contact Tri City for availability and pricing. Summit White 2018 Preferred Buick Encore 24/30 City/Highway MPG Tri City proudly serving Martinsville, Danville, Greensboro, Burlington, Winston Salem, Kernersville. We have the lowest administrative fee in the area with zero hidden fees. Come check out our competitive advantage, as well as our courtesy delivery service. Always remember, 'The deal your needin, is in Eden." AWD 6-Speed Automatic ECOTEC 1.4L I4 SMPI DOHC Turbocharged VVT All sale prices are plus tax tag title and 349 administrative processing fee. Residency restriction may apply on factory incentives. Rebates expire periodically. Automaker financing may be required to receive all advertised incentives. Financing offers are with approved credit. Vehicles subject to prior sale. All efforts made for pricing accuracy, please contact Tri City for availability and pricing. Quicksilver Metallic 2019 Preferred Buick Encore 25/30 City/Highway MPG Tri City proudly serving Martinsville, Danville, Greensboro, Burlington, Winston Salem, Kernersville. We have the lowest administrative fee in the area with zero hidden fees. Come check out our competitive advantage, as well as our courtesy delivery service. Always remember, 'The deal your needin, is in Eden." FWD 6-Speed Automatic ECOTEC 1.4L I4 SMPI DOHC Turbocharged VVT All sale prices are plus tax tag title and 349 administrative processing fee. Residency restriction may apply on factory incentives. Rebates expire periodically. Automaker financing may be required to receive all advertised incentives. Financing offers are with approved credit. Vehicles subject to prior sale. All efforts made for pricing accuracy, please contact Tri City for availability and pricing. Red Metallic 2019 Sport Touring Buick Encore 25/30 City/Highway MPG Tri City proudly serving Martinsville, Danville, Greensboro, Burlington, Winston Salem, Kernersville. We have the lowest administrative fee in the area with zero hidden fees. Come check out our competitive advantage, as well as our courtesy delivery service. Always remember, 'The deal your needin, is in Eden." FWD 6-Speed Automatic ECOTEC 1.4L I4 SMPI DOHC Turbocharged VVT All sale prices are plus tax tag title and 349 administrative processing fee. Residency restriction may apply on factory incentives. Rebates expire periodically. Automaker financing may be required to receive all advertised incentives. Financing offers are with approved credit. Vehicles subject to prior sale. All efforts made for pricing accuracy, please contact Tri City for availability and pricing. Ebony Twilight Metallic 2019 Sport Touring Buick Encore 25/30 City/Highway MPG Tri City proudly serving Martinsville, Danville, Greensboro, Burlington, Winston Salem, Kernersville. We have the lowest administrative fee in the area with zero hidden fees. Come check out our competitive advantage, as well as our courtesy delivery service. Always remember, 'The deal your needin, is in Eden." FWD 6-Speed Automatic ECOTEC 1.4L I4 SMPI DOHC Turbocharged VVT All sale prices are plus tax tag title and 349 administrative processing fee. Residency restriction may apply on factory incentives. Rebates expire periodically. Automaker financing may be required to receive all advertised incentives. Financing offers are with approved credit. Vehicles subject to prior sale. All efforts made for pricing accuracy, please contact Tri City for availability and pricing. Summit White 2019 Essence Buick Encore 25/30 City/Highway MPG Tri City proudly serving Martinsville, Danville, Greensboro, Burlington, Winston Salem, Kernersville. We have the lowest administrative fee in the area with zero hidden fees. Come check out our competitive advantage, as well as our courtesy delivery service. Always remember, 'The deal your needin, is in Eden." FWD 6-Speed Automatic 1.4L 4-Cylinder Turbocharged All sale prices are plus tax tag title and 349 administrative processing fee. Residency restriction may apply on factory incentives. Rebates expire periodically. Automaker financing may be required to receive all advertised incentives. Financing offers are with approved credit. Vehicles subject to prior sale. All efforts made for pricing accuracy, please contact Tri City for availability and pricing. Pacific Blue Metallic 2019 LT Chevrolet Equinox 26/32 City/Highway MPG Tri City proudly serving Martinsville, Danville, Greensboro, Burlington, Winston Salem, Kernersville. We have the lowest administrative fee in the area with zero hidden fees. Come check out our competitive advantage, as well as our courtesy delivery service. Always remember, 'The deal your needin, is in Eden." FWD 6-Speed Automatic Electronic with Overdrive 1.5L DOHC All sale prices are plus tax tag title and 349 administrative processing fee. Residency restriction may apply on factory incentives. Rebates expire periodically. Automaker financing may be required to receive all advertised incentives. Financing offers are with approved credit. Vehicles subject to prior sale. All efforts made for pricing accuracy, please contact Tri City for availability and pricing. Recent Arrival! Summit White 2019 SLE GMC Terrain 26/30 City/Highway MPG Tri City proudly serving Martinsville, Danville, Greensboro, Burlington, Winston Salem, Kernersville. We have the lowest administrative fee in the area with zero hidden fees. Come check out our competitive advantage, as well as our courtesy delivery service. Always remember, 'The deal your needin, is in Eden." FWD 9-Speed Automatic 1.5L DOHC All sale prices are plus tax tag title and 349 administrative processing fee. Residency restriction may apply on factory incentives. Rebates expire periodically. Automaker financing may be required to receive all advertised incentives. Financing offers are with approved credit. Vehicles subject to prior sale. All efforts made for pricing accuracy, please contact Tri City for availability and pricing. Blue Steel Metallic 2019 SLE GMC Terrain 26/30 City/Highway MPG Tri City proudly serving Martinsville, Danville, Greensboro, Burlington, Winston Salem, Kernersville. We have the lowest administrative fee in the area with zero hidden fees. Come check out our competitive advantage, as well as our courtesy delivery service. Always remember, 'The deal your needin, is in Eden." FWD 9-Speed Automatic 1.5L DOHC All sale prices are plus tax tag title and 349 administrative processing fee. Residency restriction may apply on factory incentives. Rebates expire periodically. Automaker financing may be required to receive all advertised incentives. Financing offers are with approved credit. Vehicles subject to prior sale. All efforts made for pricing accuracy, please contact Tri City for availability and pricing. Pearl 2019 LT Chevrolet Equinox 26/32 City/Highway MPG Tri City proudly serving Martinsville, Danville, Greensboro, Burlington, Winston Salem, Kernersville. We have the lowest administrative fee in the area with zero hidden fees. Come check out our competitive advantage, as well as our courtesy delivery service. Always remember, 'The deal your needin, is in Eden." FWD 6-Speed Automatic Electronic with Overdrive 1.5L DOHC All sale prices are plus tax tag title and 349 administrative processing fee. Residency restriction may apply on factory incentives. Rebates expire periodically. Automaker financing may be required to receive all advertised incentives. Financing offers are with approved credit. Vehicles subject to prior sale. All efforts made for pricing accuracy, please contact Tri City for availability and pricing. AWD. Quicksilver Metallic 2019 SLE GMC Terrain 24/28 City/Highway MPG Tri City proudly serving Martinsville, Danville, Greensboro, Burlington, Winston Salem, Kernersville. We have the lowest administrative fee in the area with zero hidden fees. Come check out our competitive advantage, as well as our courtesy delivery service. Always remember, 'The deal your needin, is in Eden." AWD 9-Speed Automatic 1.5L DOHC All sale prices are plus tax tag title and 349 administrative processing fee. Residency restriction may apply on factory incentives. Rebates expire periodically. Automaker financing may be required to receive all advertised incentives. Financing offers are with approved credit. Vehicles subject to prior sale. All efforts made for pricing accuracy, please contact Tri City for availability and pricing. Black Metallic 2019 LT Chevrolet Equinox 22/29 City/Highway MPG Tri City proudly serving Martinsville, Danville, Greensboro, Burlington, Winston Salem, Kernersville. We have the lowest administrative fee in the area with zero hidden fees. Come check out our competitive advantage, as well as our courtesy delivery service. Always remember, 'The deal your needin, is in Eden." FWD 9-Speed Automatic 2.0L Turbocharged All sale prices are plus tax tag title and 349 administrative processing fee. Residency restriction may apply on factory incentives. Rebates expire periodically. Automaker financing may be required to receive all advertised incentives. Financing offers are with approved credit. Vehicles subject to prior sale. All efforts made for pricing accuracy, please contact Tri City for availability and pricing. Recent Arrival! 4WD. Summit White 2019 GMC Canyon Tri City proudly serving Martinsville, Danville, Greensboro, Burlington, Winston Salem, Kernersville. We have the lowest administrative fee in the area with zero hidden fees. Come check out our competitive advantage, as well as our courtesy delivery service. Always remember, 'The deal your needin, is in Eden." 4WD 8-Speed Automatic V6 All sale prices are plus tax tag title and 349 administrative processing fee. Residency restriction may apply on factory incentives. Rebates expire periodically. Automaker financing may be required to receive all advertised incentives. Financing offers are with approved credit. Vehicles subject to prior sale. All efforts made for pricing accuracy, please contact Tri City for availability and pricing. 4WD. Summit White 2019 Work Truck Chevrolet Colorado Tri City proudly serving Martinsville, Danville, Greensboro, Burlington, Winston Salem, Kernersville. We have the lowest administrative fee in the area with zero hidden fees. Come check out our competitive advantage, as well as our courtesy delivery service. Always remember, 'The deal your needin, is in Eden." 4WD 8-Speed Automatic V6 All sale prices are plus tax tag title and 349 administrative processing fee. Residency restriction may apply on factory incentives. Rebates expire periodically. Automaker financing may be required to receive all advertised incentives. Financing offers are with approved credit. Vehicles subject to prior sale. 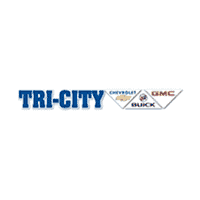 All efforts made for pricing accuracy, please contact Tri City for availability and pricing.